When building a fictional world, creating a language can make or break it for anyone entering that world. Shows like Game of Thrones and The 100 feel real because of the logic of the languages spoken by its residents, but how much do we know about the people who create those lines? 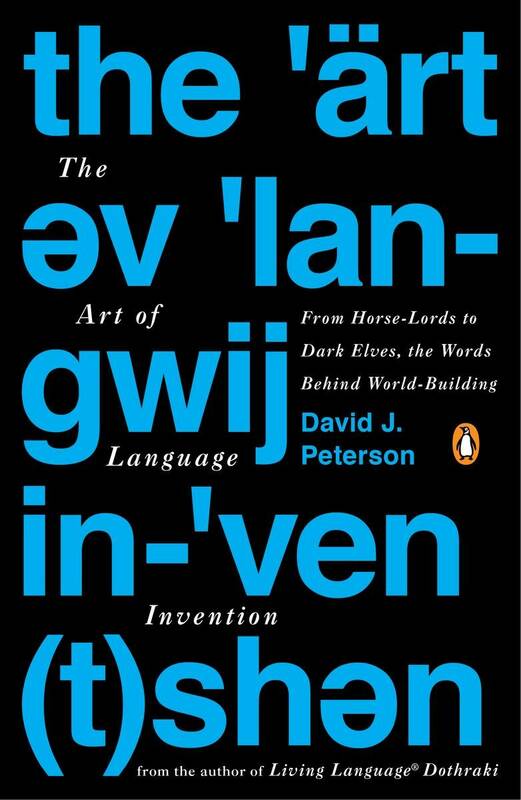 In The Art of Language Invention, David J. Peterson describes the history of constructed languages (or conlangs) and the growth of the conlang community online. 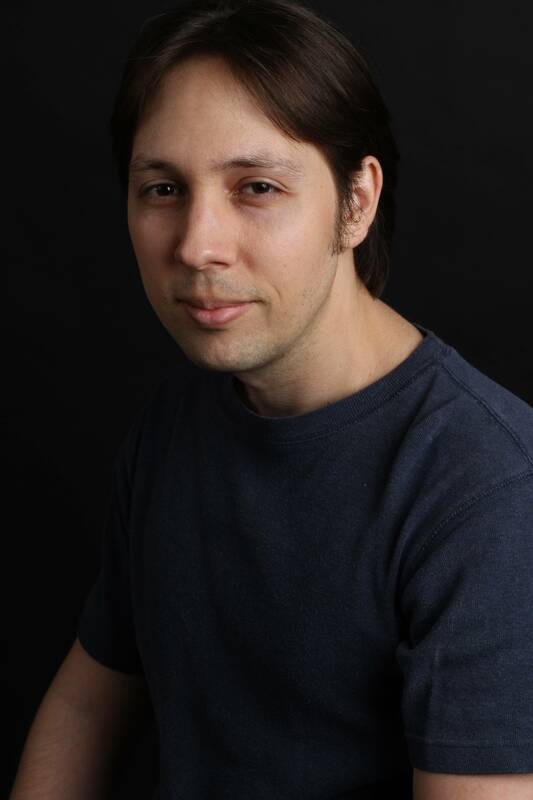 He explains the basic foundations of creating languages, providing fans and casual readers alike a closer look at languages like Dothraki, and how they are built from the word up. Angel: In your years of studying languages, have there been particular languages you were drawn to, and how have they inspired/influenced your work in conlangs? David J. Peterson: Over the years, there have always been languages that popped up at one time or another that really intrigued me: Hawaiian, Turkish, Swahili, Inuktitut, Estonian…There’s no language I don’t find utterly fascinating, though. Studying any language simply expands your understanding of the possibility of language. I don’t know if there’s any language or languages that inspired my conlanging more than any others; it’s just the study itself that helps me to be a better conlanger. A: Are there languages (real and/or constructed) that perplex you? What is it about those languages that challenge you as a language creator? D: Fith by Jeffrey Henning is one of the more challenging languages to use and understand I’ve seen. It operates on stack-based grammar, and I tried to put together a sentence in it once and, despite my efforts, never got it right. There are a lot of engineered languages that are very well constructed and quite esoteric that are totally beyond me. It amazes me to see the work of really inventive engelangers. A: Have you ever attempted to write fiction in a constructed language? Do you know of anyone who has? songs in her Teonaht. I’ve actually done the same in a few of my languages from time to time for different reasons. Many conlangers are working on novels featuring their languages and I know a few have done really long original works in their languages (Puey McCleary comes to mind). There are doubtless countless more I’m unaware of. It’s not at all an unheard of concept. A: How might poetry challenge a constructed language’s limits? poetry poses the same challenge to the conlanger that it poses to the speaker of a natural language. Poetry is rigid and structured—half puzzle, half narrative—and attracts, I think, a lot of the same architects as conlangs themselves do. I think an early question one would likely ask is what kind of form fits the language. Iambic pentameter comes naturally to English, which is why blank verse is so well-suited to it. Rhyming is simpler in Spanish, so there are often much more stringent rhyming restrictions used in Spanish poetry than English. A created language will have different meters and patterns that pose a suitable challenge for poetic creations, and it’s up to the conlanger to figure out what they are. A: You discussed how creating single words for a conlang is rare, as “they give birth to a family of related words or concepts.” What has been the most challenging concept to add to a conlang? What is your favourite? D: The most challenging terms to come up with are usually the most basic—e.g. things like “turn” or “twist”. These are words in English that have dozens of senses, and they never line up with words in other languages easily. It’s extremely hard to come up with a naturalistic word-net for concepts like these. As for a favorite, it depends on the language. It’s fun to come up with cultural concepts that are idiomatic—like the words related to “wind” in Irathient from Defiance. Related words are anything from “breeze” to “storm” to “goodbye” to “wow” to “destiny”, all tied together by a single root. It’s fun to come up with word-nets like those. A: Is there a fictional world that you’d love to create a conlang for? D: I would’ve loved to create a series of languages for the Avatar: The Last Airbender universe. That would’ve been a dream project. Also to create a goblin language for Jim Henson’s Labyrinth. I’ve always wanted to work in the Oz universe, and now I get a chance to, with my new show Emerald City on NBC. And, of course, it’s always a dream to do one of my own.